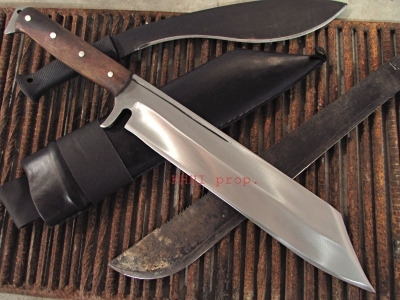 Your SEARCH for the ULTIMATE kukri ends here..
One of the most prolific knives ever done by KHHI in which every little thing from shape to size to weight, from profile to contour to angles, from finishing to fitting to handling, from usage to feel to balance - everything is well thought of and brilliantly executed. 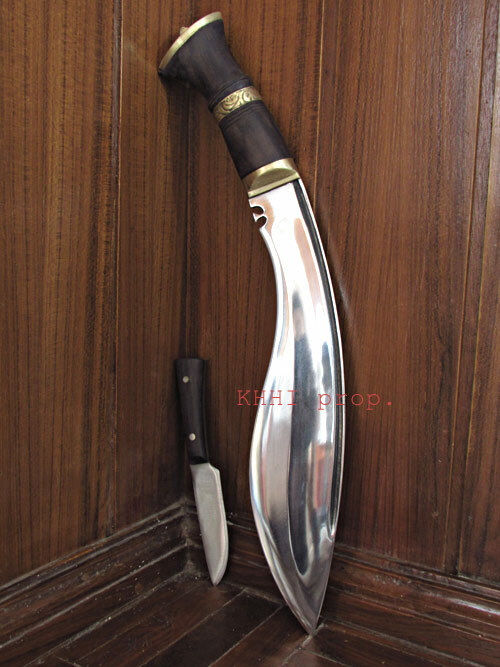 Your SEARCH for the ULTIMATE kukri ends here..
What makes MK Patriotic (General Service Khukuri ) so special ? 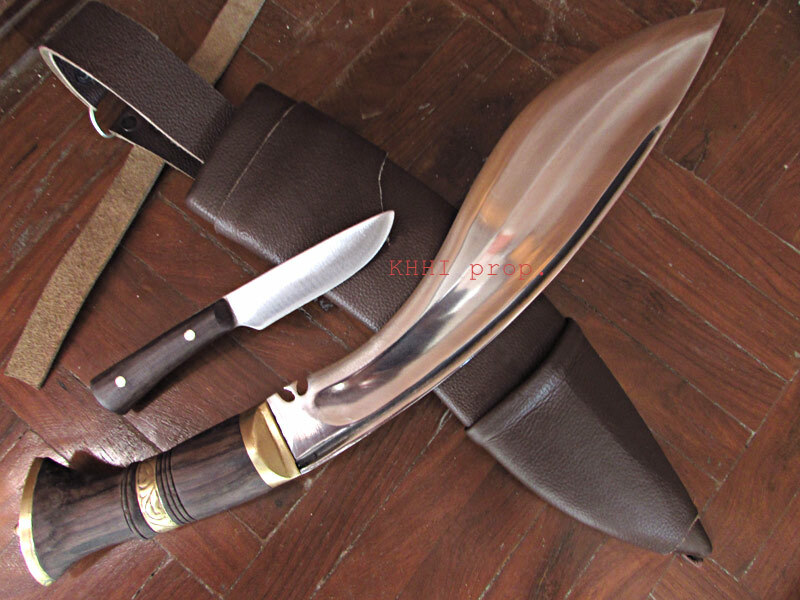 I am deeply honoured to have been given the opportunity by the Owner and Managing Director of KHHI , Mr Saroj Tamang Lama , to help design and name his exciting new release , the " MK-Patriot General Service Issue " Khukuri . 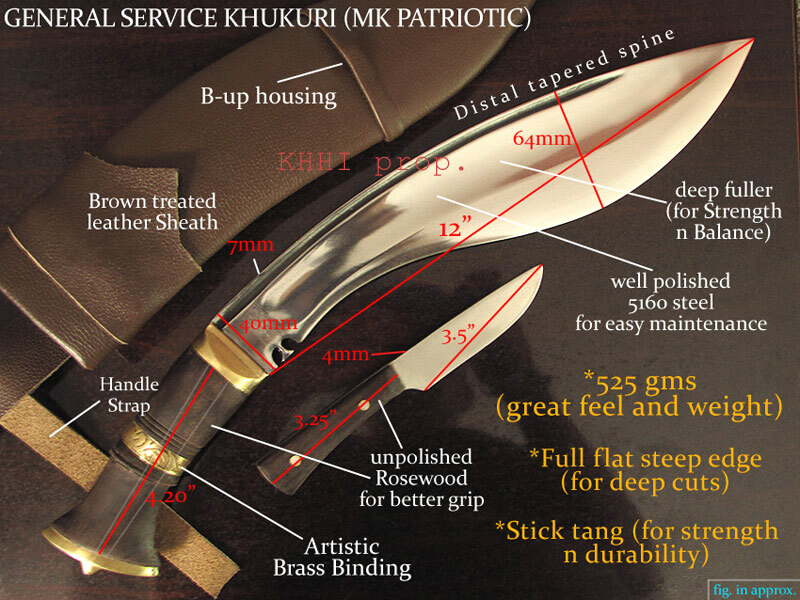 For all KHHI already have an extensive range and styles of Khukuris and are well known for their superior quality blades , I decided to design the MK-Patriot for practical use in remote or hostile environments and aimed at Military personnel and other such organisations or individuals who spend their time working within the Survival / Bushcraft field of operations . My past experience as a former member of British Army Special Forces has led me to believe that a good solid well built knife is a must when working or training within these remote / hostile situations but because of the numerous and differing amounts of tasks that can be undertaken when working in these environments , I also believe that there is no one knife that can perform every task without compromising weight and space ! With this in mind , I have designed the MK-Patriot to be as near as possible to the perfect all round general purpose utility bushcraft tool whilst at the same time retaining the traditional shape and features of the Nepalese khukuri!I chose the name for this new release , MK as these are my initials and PATRIOT because this represents for me my own strong personal feelings of patriotism for My Queen and Country , but also to represent the brave and loyal Gurkha Soldier for whom the Khukuri is both a national symbol of their Country and The famous Brigade of Gurkhas whom they have served with distinction for over 200 years . All in all I fully endorse the whole concept of the MK Patriot and in my opinion it is large enough to carry out most bushcraft duties , chopping , slashing , battoning and most other tasks etc , but at the same time small enough to either stash away inside your back pack or Bergen or even attach to the outside for easier access or attach to your waist belt without being too much of a weight issue , A must for anyone who ventures into the Great Outdoors . 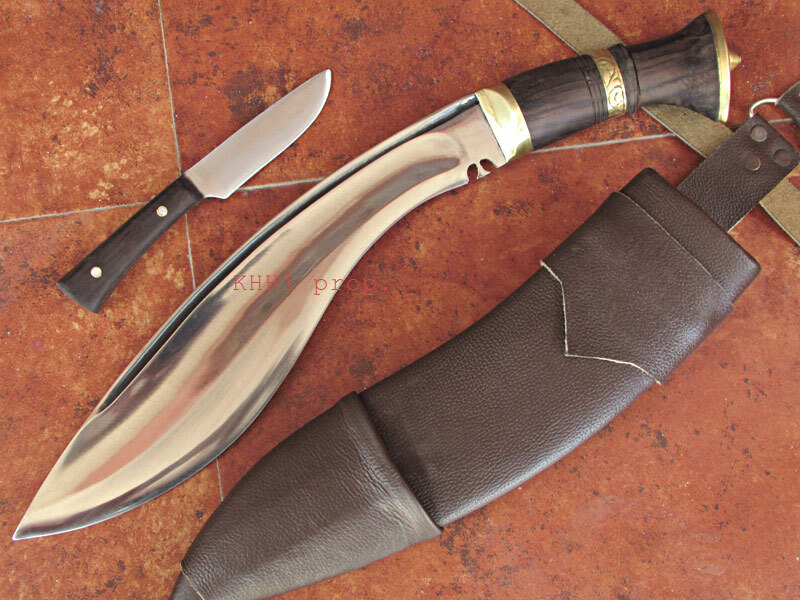 PS: Please see KHHI website for instructions for looking after your Khukuri. I received two blades today this being one of them. This is one of seven Nepalese kukris in my collection; and I'm not done by a long shot. I've already given two to family and friend; and my grandson will receive two more. 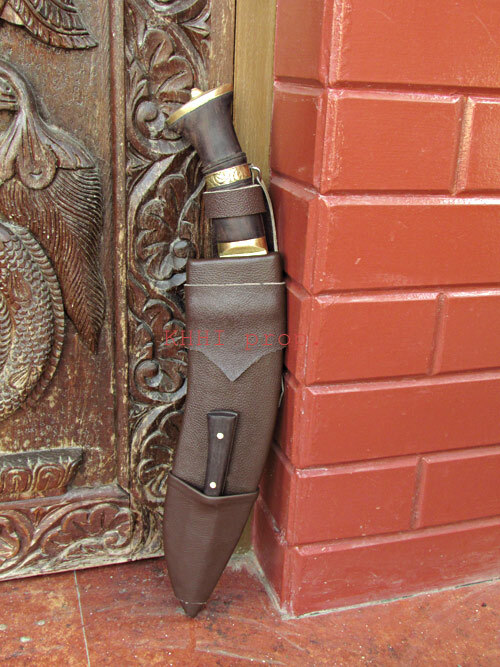 The quality of construction is superb both the knife and sheath. I collect many knives; but my favorites are all from Nepal. The craftsmen are among the best in the world and more so considering the conditions under which the blades are made. 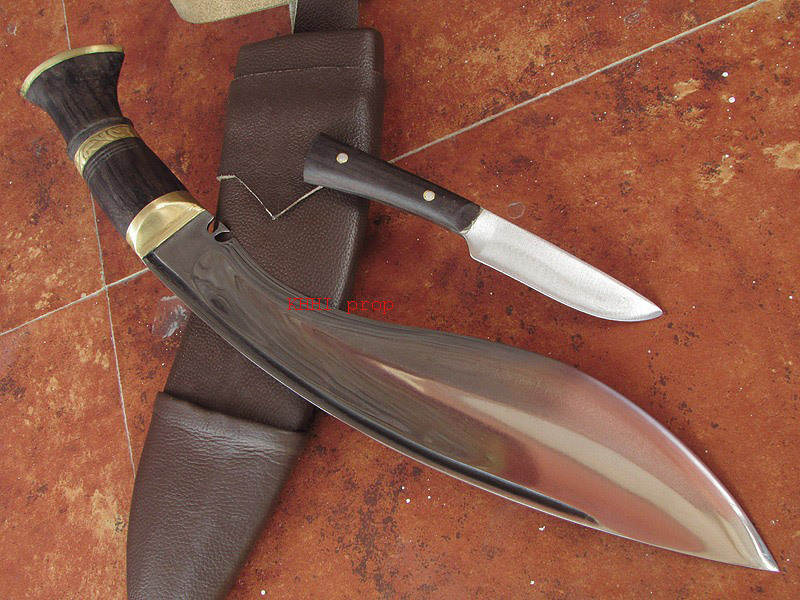 This is not the first nor the last kukri I will purchase. Thank you. To everyone at the Khukuri House, you are real craftsmen I am so proud of my knife. If I had the money and the space in my house I would buy eveything you make. You are the real deal and you all deserve credit and recognition. The beauty that your knives give money can't buy, but luckily for us we can buy them, long after we have left this planet your knives will be passed down from generation generation, you have made history. Thank you. Once again , What Can I Say ! You and your Kami and indeed KHHI have surpassed yourselves !!! 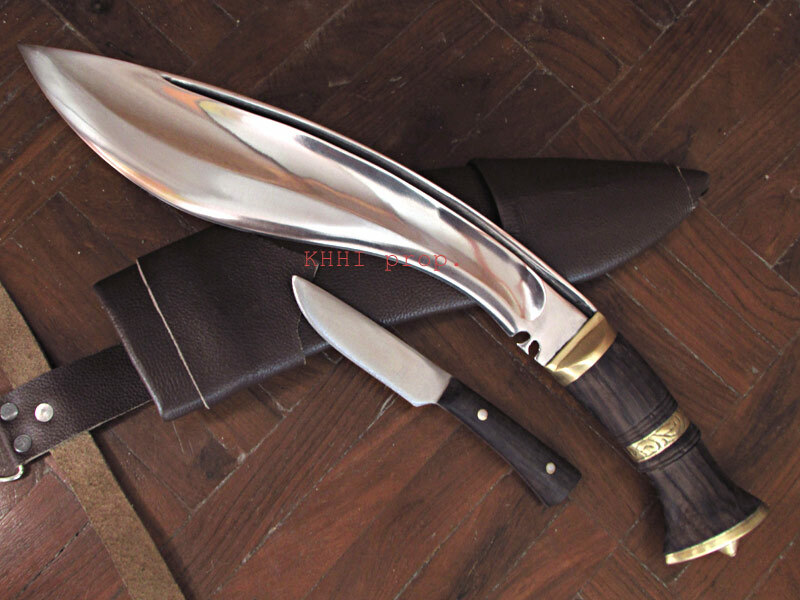 My MK-PATRIOT GSI Khukuri is absolutely amazing ! IT is better than my expectations and I am amazed that you have kept the overall weight to a minimum making it very easy to hold and use together with a razor sharp blade . This in my professional opinion is what a bushcraft knife / tool should be and I fully endorse its name and practical use as an all round camp craft bush craft utillity tool / weapon . Everything fits tight and perfect and I love the slimline sheath / scabbard. 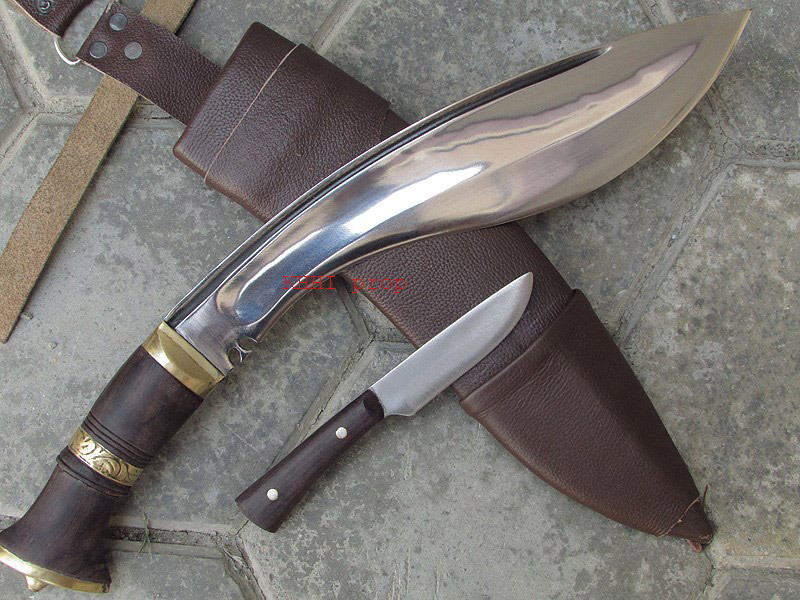 I am proud of everything about this khukuri and proud to have my name associated with your company and the knife itself . Please make sure that every one is made to the same high standard and fit as it is an exceptional quality model. Most of all please thank Parshuram Biswakarma for his dedication and skills , he is a credit to KHHI and his Family ! Saroj , please advertise this MK-P as soon as possible with my write up and full endorsement. Best wishes my Brother and Namaste. My order has been received and everything looks great. I just wanted to give my compliments to the craftsman Parashurama Bishvakarma.